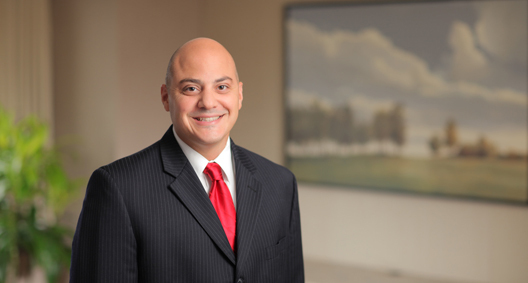 Often called upon to handle his clients’ most significant matters, Joe Ezzie is an experienced attorney who focuses his practice on complex commercial litigation, with an emphasis on healthcare litigation and the defense of class actions. Joe has considerable experience working on high-stakes matters, including those involving the defense of multi-jurisdictional, multi-party disputes. In such matters, Joe not only advises on litigation and trial strategies, but also on public and government relations issues that arise. Working with his colleagues, Joe approaches large matters with a collaborative team approach centered on intense preparation, effective communication and creative thinking. Joe is a member of BakerHostetler’s Policy Committee, the governing body of the firm. Retained as national counsel by a major health care services company. Successfully represented the client in jurisdictions across the country in complex breach of contract actions revolving around concerns about the distribution of controlled substances. Defeated requests for injunctive relief at preliminary injunction hearings. Engaged in risk-assessment measures and employed a litigation strategy to achieve the desired result of minimizing potential enterprise risk to the client. Obtained dismissal of class claims against a client, a national pharmacy franchiser, relating to franchise agreements prior to class certification. Superior Care Pharmacy v. Medicine Shoppe International, S.D. Ohio. Lead counsel for a medical device distributor in federal court in a breach of contract action involving a wholesale distribution agreement. The case was settled on favorable terms following a preliminary injunction hearing. Represented a major healthcare services company in connection with an employee fatality at a warehouse. Lead counsel for a medical device distributor in federal court in a breach of contract and tort action stemming from a distribution agreement with a group purchasing organization. The lawsuit resolved on favorable terms following motion practice. Conducted an investigation of FCA allegations for a major healthcare services company. Lead counsel for a national pharmacy franchiser in a putative class action pending in the Central District of California asserting violations of California statutes. Managed the case discovery process and prepared and defended depositions on behalf of an insurance company concerning first-party claims for windshield damage. Obtained a reversal by the Ohio Supreme Court of certified class under Rule 23(b)(2) and (3) of more than 100,000 policyholders during a 22-year class period involving windshield repairs. Trendsetting decision advanced fundamental class certification principles. Cullen v. State Farm Mut. Automobile Ins. Co., __ Ohio St. 3d __, 2013-Ohio-4733. Led the discovery process, including taking and defending all depositions, on behalf of an insurance company in an alleged class action raising claims of breach of contract and bad faith stemming from the adjusting of hail claims. The district court certified claims for roof damage following a hailstorm that would have compelled reinspection of thousands of roofs. The Seventh Circuit reversed the decision, applying groundbreaking principles of class certification under Rule 23(b)(2). Kartman v. State Farm, 634 F.3d 883 (7th Cir. 2010), cert. denied 181 L.Ed.2d 138. Prior to class discovery, persuaded the court to strike class allegations based on claims for hail damage to roofs. The case was then settled on favorable terms. Brunson v. State Farm Fire & Cas. Co., U.S. Dist. Court for the Western District of Tenn., Case No. 07-CV-2320.